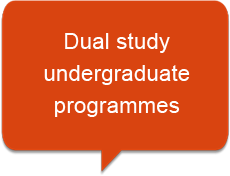 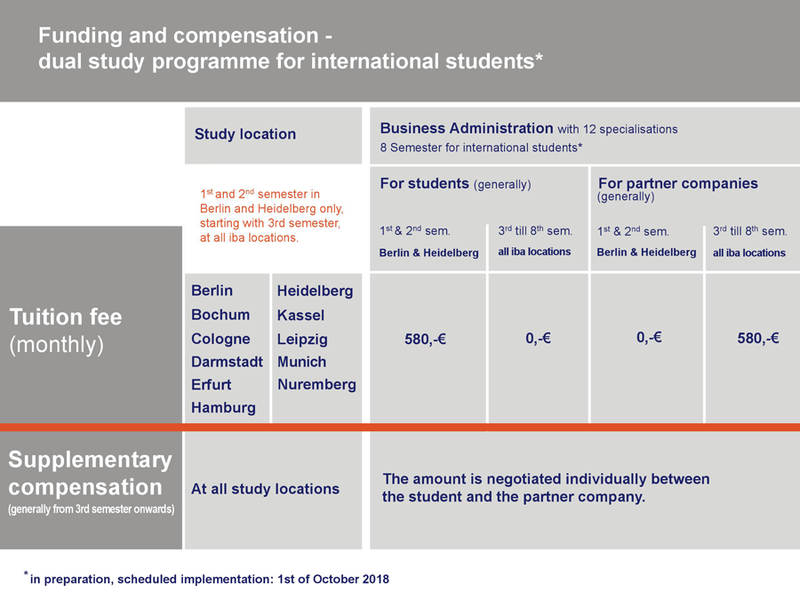 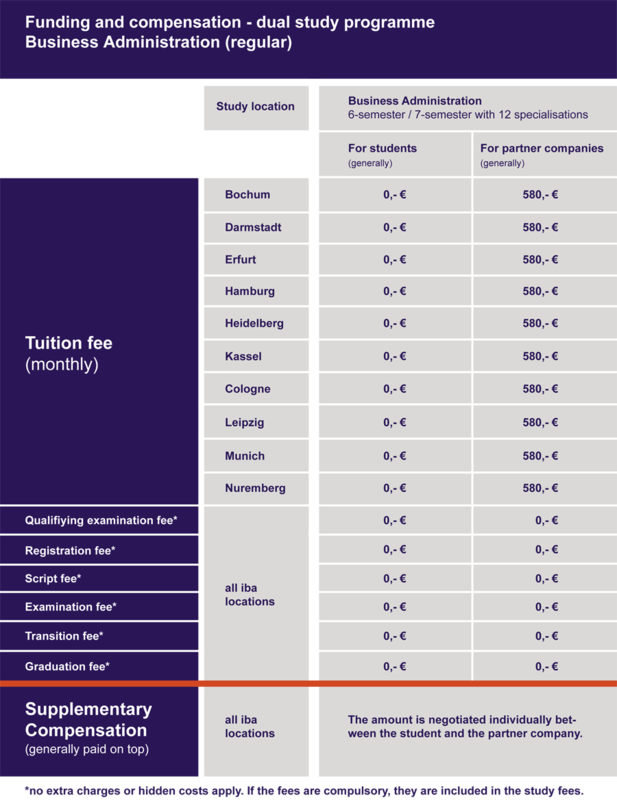 Depending on the study programme and location, tuition fees vary between 550 and 620 euros per month and are generally covered by the partner company (International students in the 8-semester programmes: from 3rd semester onwards) so students do not bear the costs of the programme. 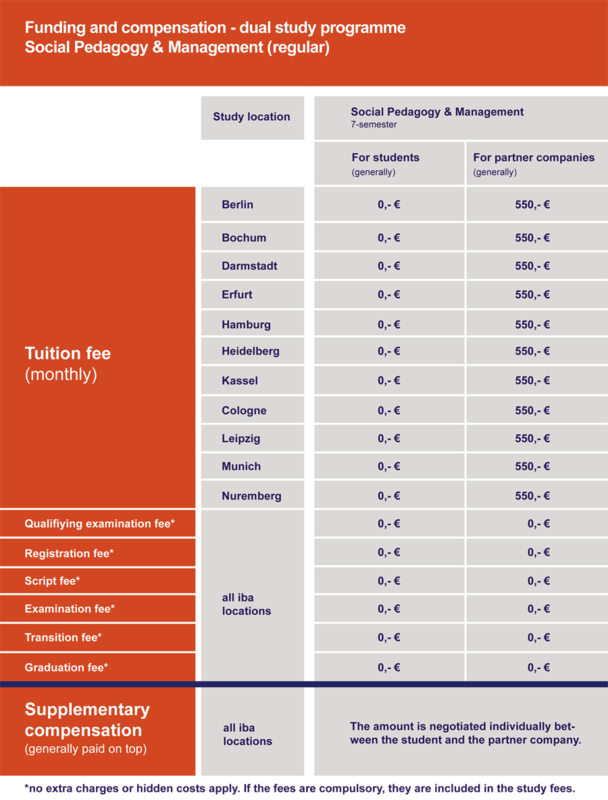 There are no additional enrolment or examination fees. 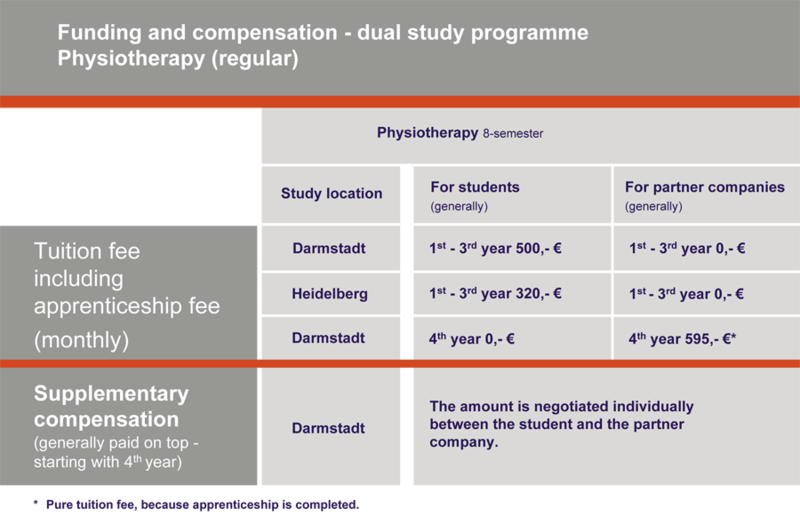 Furthermore, partner companies pay supplementary compensation. 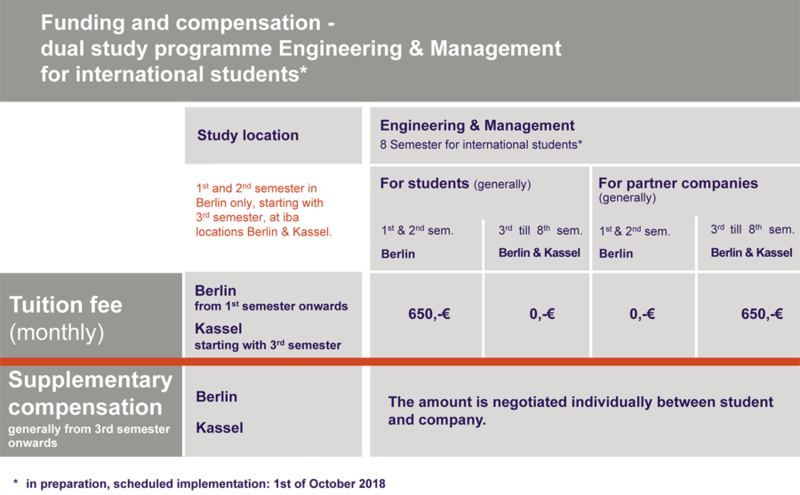 The amount is negotiated individually between the student and the partner company.